What if your whole life was a lie?Alexis Ferguson wasn't blessed with social graces, but the ambitious high school junior has used her book smarts to get her where she is today. It's too bad that everything she knows is wrong.After meeting a gorgeous stranger on a blind date, Alexis feels like she's known him her entire life. Suddenly, dark long-forgotten memories swirl in her mind. She realizes she's powerful, stunningly beautiful, and marked for death.As she faces the one who ordered her execution years ago, Alexis must learn her strange new powers and trust in unlikely allies to keep herself alive. 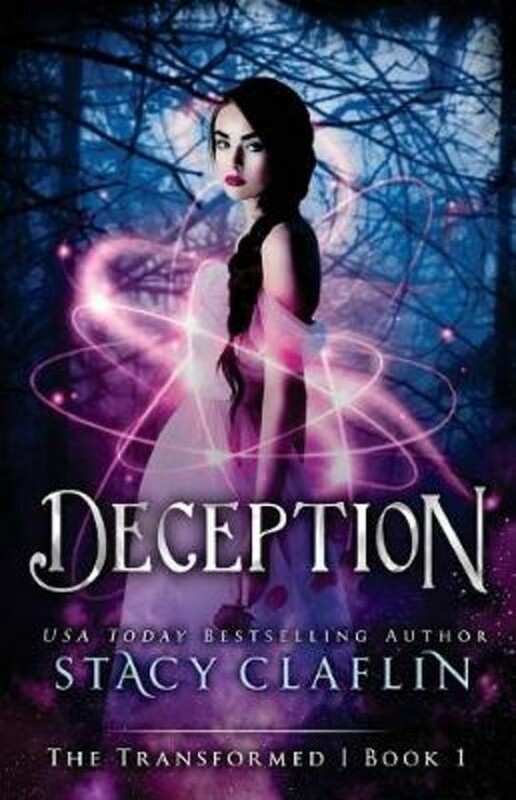 Deception is the first installment in the young adult Transformed Series by USA Today bestselling author, Stacy Claflin. It's a paranormal romantic suspense series that features gripping supernatural drama, surprising twists, dynamic characters, page-turning suspense, heart-pounding action, and angsty romance.Pick up Deception today and you won't put it down until the stunning conclusion.This urban fantasy romantic thriller will keep you on the edge of your seat. In this book and the rest of the series, youll find a supernatural world far beyond the normal scope of vampires and werewolves. Buckle up and get ready for a ride full of twists and turns. Its one for all ages  as long as you have an imagination and love surprises!